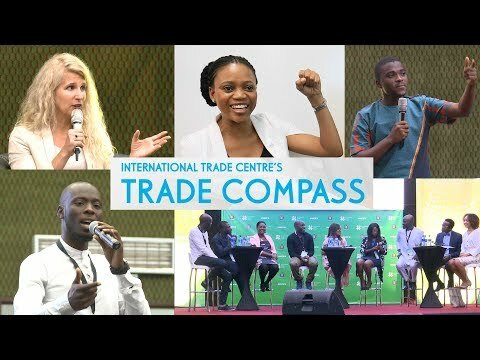 (Buenos Aires) – The World Trade Organization (WTO) and the International Trade Centre (ITC) today launched an on-line platform for market intelligence for cotton products, which will enable cotton producers, traders and policymakers to better harness market opportunities in the sector. The Cotton Portal, unveiled at the WTO's 11th Ministerial Conference in Buenos Aires, will contribute to a more efficient cotton trading system by providing improved transparency and accessibility of trade-related information for cotton products and other relevant information for the daily activities of cotton producers, traders and policy makers. "Today's launch is an important addition to our efforts in helping the cotton community achieve their development goals," said WTO Director-General Roberto Azevêdo. "By gathering all the relevant information, it means that we can better monitor the implementation of the market access commitments made by members in Nairobi." ITC Executive Director Arancha González said: “The Cotton Portal will enable cotton producers and traders to harvest greater benefits from increased participation in global trade, particularly for least developed countries. By making the sector more transparent, businesses will have easier access to trade and market intelligence, allowing them to add additional value to their exports." The Cotton Portal is designed for exporters, importers, investors and trade support institutions to search business opportunities and market requirements for cotton products. It provides a single entry point for all cotton-specific information available in WTO and ITC databases on market access, trade statistics, country-specific business contacts and development assistance-related information as well as links to relevant documents, webpages and to other organizations active in the cotton sector. Cotton is one of the world’s most actively traded commodities. It is also a product of vital importance to the economic development and poverty reduction strategies for a number of developing economies, and particularly the least developed amongst them. Four African cotton-producing countries – Benin, Burkina Faso, Chad and Mali – proposed a Sectoral Initiative on Cotton in 2003. Since then, cotton has been discussed as a specific topic in the WTO. The 2015 Nairobi Ministerial Decision on Cotton contains provisions on improving market access for least-developed countries, eliminating export subsidies, and the efforts to be made to reform domestic support. It also underlines the importance of effective assistance to support the cotton sector in developing countries. The launch of the Cotton Portal delivers on a key commitment of the Nairobi decision to identify and examine market access barriers, including tariff and non-tariff barriers for cotton products, particularly those exported by least-developed countries. For more information, visit www.intracen.org.